For this hop I am giving away one book of your choice, $12 or less. I will ship through Amazon if you are US and The Book Depository if you are INT. 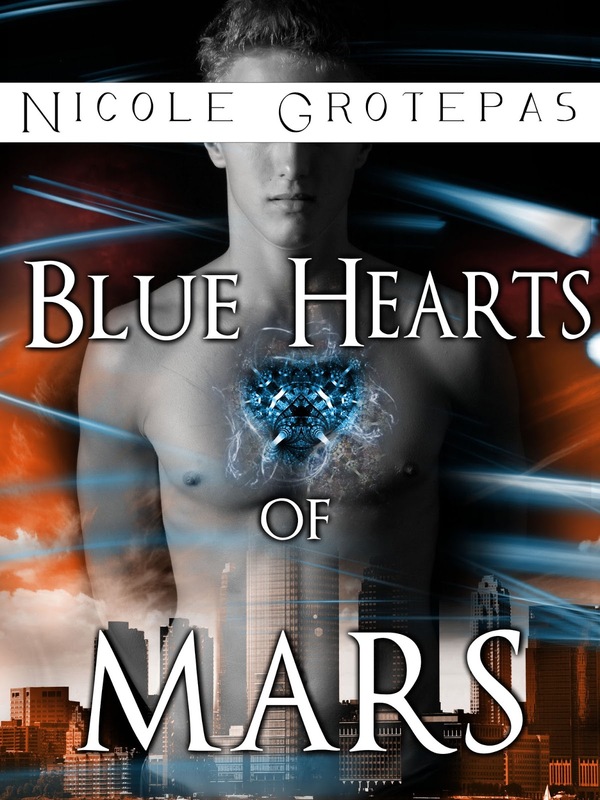 Blue Hearts of Mars $50 Book Blast + Get Blue Hearts Free on Amazon today and tomorrow! Staying in one place was never Nick Carbini's plan. 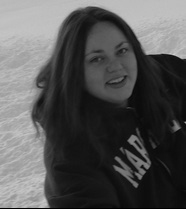 When his troubled past leads him to Bear Lake, Montana, single mom Alisa Machak makes him consider putting down roots. Alisa doesn't have a problem letting Nick work in her diner, but when he starts edging his way into her heart, she has to draw the line. He reminds her too much of her son's father, another drifter who abandoned them both. Nick wishes he could be there for them, but believes he's not fit to be a husband. When his worst fears come true one night, it's up to Alisa to show him the perfect recipe for a forever romance. If you love romance but like it more on the sweet side than the hot side, the Love Inspired romances by Harlequin will be perfect for you. Romantic and sweet is exactly how I like them. I want to feel the tension and I love the sizzle kissing. When I'm in the mood for a good romance, Love Inspired is where I go. 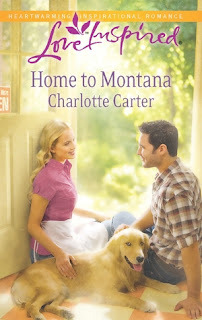 Home to Montana was a great story of two people trying to deal with the past and wanting better for their future. Nick is a war vet. He's dealing with some PTSD on top of a rough childhood. His heart is good and he knows how to work hard. Alisa has loved before. Then she was left with a son to raise on her own. She guards her heart and her son carefully. Trusting is hard and trusting Nick is even harder. This is a heart warming story and I was happy reading it. It is what I like to call brain candy. There isn't a lot of deep thinking or intense action just a simple love story that will take you away for a little while and leave you feeling good. My thanks to Harlequin for allowing me to read and review this book. You can purchase Home to Montana at Amazon. If I had to describe this book in a few words it would be cozy romantic mystery. It reminded me a lot of Tristi Pinkston's cozy mystery series if you have read those but with more romantic sizzle. If it smells nasty, don't drink it!!! 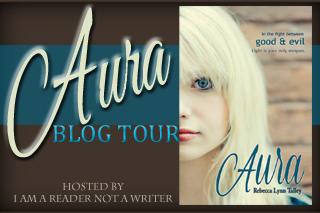 My thanks to Cami for letting me join in her blog tour. She always delivers good, easy reading to escape with. 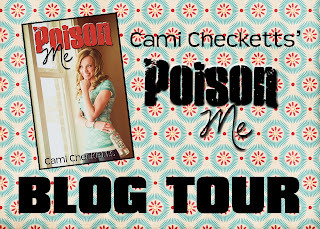 You can find Poison Me on Amazon. 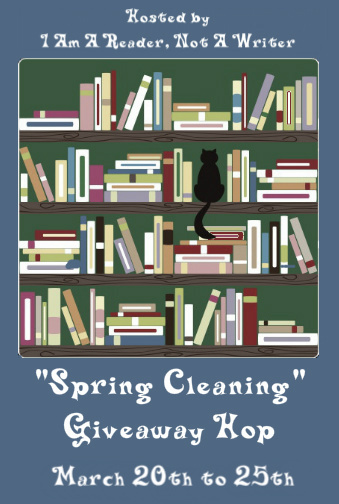 Is it spring at your house? I know it must be on it's way here because the mountains of snow all around us have disappeared. That makes me happy. Most of my spring cleaning will be focused outside. It's time to clean up the flower beds and prune the rose bushes. It's time to take care of the fruit trees. It's also time to go through my books and see what I have laying around that I can offer to someone else. This giveaway will have to be US only because I can't afford to ship a book across the world. Sorry! There will be one winner who will be able to choose from the three books featured below. A Matter of Magic and Reached are both clean YA books. 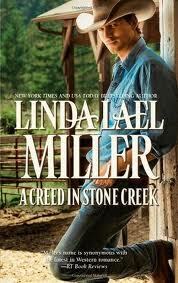 A Creed in Stone Creek is an adult romance book and has sexual content and language. Everything about this book was fun ~ from the cover to the end. Mallory is quite a character. When she finds a list of goals her grandmother made when she was Mallory's age, she decides that she will reenact the list. After being burned by her boyfriend, Mallory needs to change things up a bit and decides to "Go Vintage". Mallory seems to think that the generation her grandmother grew up in had things easier because technology wasn't as advanced but what she finally realizes in the end is that no matter when or where you have lived, drama and heartache can be found. Mallory also finds out many things about herself and her family along the way. I was very entertained by Mallory's sense of humor. Sarcasm and wit always get me. This is a cute chick lit contemporary YA book that teenagers will be able to relate to. It has high school drama, crazy family moments, secrets, social media explosions, boy/girl relationships and even a trip to Disneyland! :) That's all the main ingredients for a good book right there. Content: Some make out scenes and some sexual innuendo. 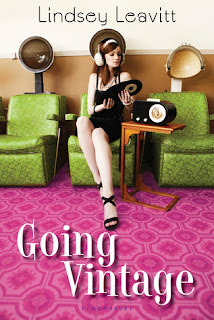 You can pre-order Going Vintage on Amazon. My thanks to both NetGalley and Bloomsbury for providing a copy of this book for review. When I read the blurb for this book I just knew I would love it. That's because all of those things have been me in some variation or another. Vomit, poop, tampons, shopping with kids... oh, the stories I could tell. I feel like if Rachel and I sat down and compared and shared stories, we would be instant friends. Well, except that I've never thrown up in a cookie sheet. She gets the gold star for that one. :) Oh, and the whole strip down and jump on the couch thing? Another gold star for Rachel. If you are a mother you are going to relate to this book. Life with kids can be insane. Draining. Emotional. Disgusting. Hard. Stressful. Funny. Sweet. I love how this book starts off so funny. I was literally simultaneously laughing and gagging in disgust. Reliving my own memories, I guess. Then I am brought to another place where I relate to the angry monster mom who sometimes (more often than I want it to) comes out. And then I am taken to the place where everything changes because my child is in a place where life is no longer taken for granted. Hospitals, MRI's, needles (so many needles) and a very sad baby that is hurting and I am left helpless. Yup. I've been there. I still have to go there on occasion and it always hurts. This book is so easy to read and so easy to relate to. It sure is nice to know I'm not alone in the craziness that is motherhood. Thanks Rachel for letting me read and review your book. I loved it. 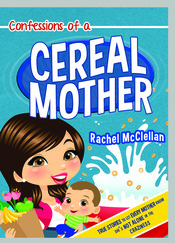 You can find Confessions of a Cereal Mother at Amazon in print or e-book. If you are looking for an adventurous middle grade book that girls and boys alike will love, than look no further. 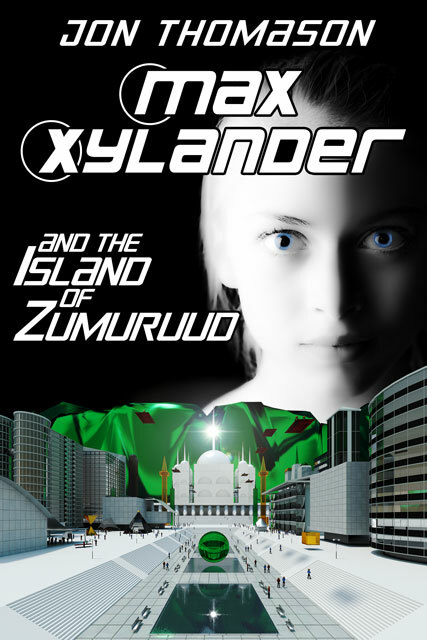 This book is full on fantasy with all sorts of "jinni" magic. Of course there are the good guys and the bad guys because what sort of book would this be without them? This has a sort of Harry Potter-ish feel to it, similar ideas in different places. It is definitely geared to a younger audience. 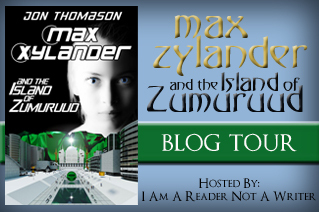 If your kids have read Harry Potter, I'm not sure Max Zylander will live up to vivid and exciting world created there but, if you have younger kids that aren't quite on the reading level of Harry Potter, this might just be the perfect stepping stone for them in the fantasy genre. I don't know that I'm raving love over this book but I do think it was a good solid story. Fantasy isn't my love genre so I have a harder time getting into books that fall into this category. I'm totally in a minority on this though. :) Here's what I do know: I want some "jin" power! That could sure come in handy. Check out what others are saying about Max Zylander! You will find a link to the full tour schedule below. Enjoy the following excerpt and don't forget the giveaway found below as well. ...She spent every possible second learning better control and more power. She couldn’t leave it alone. When Max was diagnosed with acute myeloid leukemia at age 9, she raged and fought. At the first needle, she shouted, “It’s not fair!” but nothing could express how she felt after hundreds. She was at the mercy of the doctors and of Fate. Couldn’t say no or yes. Couldn’t choose. Now, her new talent let her take the world on her own terms. It was narcotic and wild. She loved the feeling of gathering a ball of flame brighter than the sun and releasing it any way she could dream up. She became stronger with the power than she was with her muscles. She learned how to guide the flow of power. It felt like sculpting as she carved the flow of fire into different shapes. 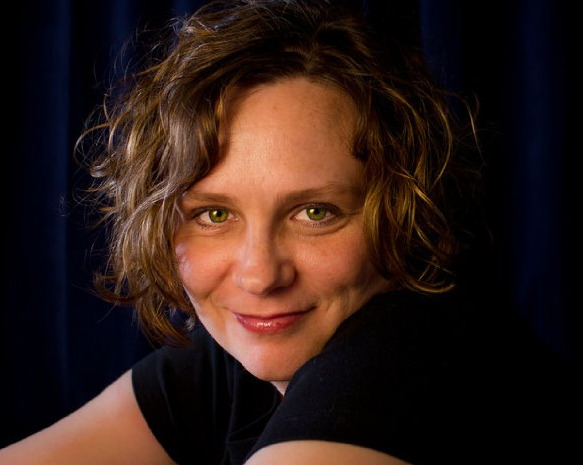 The flows could move objects any direction, depending on how she shaped them. She could apply the flows precisely or violently, or better yet, precisely and violently. I will miss Kate and Henry. There were a few things I especially loved about this book. I loved that Henry and Kate were working more together against the big evil and not working so much against each other. Of course, each is trying to be the one to save the other but they have a common goal now~ their child. Maybe it's because I have a child that I felt deeply Kate's desperate need to ensure her child's safety. She will do whatever it takes. I can relate to that. Kate has a rough time of it in this book. She is feeling the weight of the world, literally, on her shoulders. She doubts her ability to find a way out of the mess with Cronus. But the people that love her give her the encouragement that she needs to believe she can do it. Or at least try. I just love books based around mythology. I'd sure like to see a book dedicated to James. Or even Ava's son. I think we were left with some possibilities there. I really loved this book. I have enjoyed this whole series and I'm sad to see it end but I loved the ending. Kate's compassion to Cronus really touched me. If you have read this already, you know what I'm talking about. If you haven't read it yet, just wait. You are in for a fantastic read. :) There is some swearing and some talk of sexual activity. 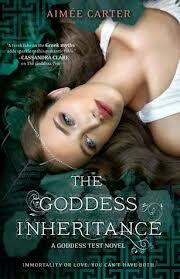 You can find Goddess Inheritance and all the Goddess Test series on Amazon. "You saved my life, Kate. You gave me everything. There is nothing I would rather do than be with you forever." Baked Alaska by Josi Kilpack: Review and Giveaway! 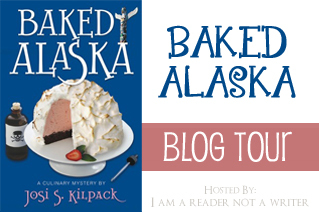 I'm so happy to be a part of the blog tour for Baked Alaska by Josi Kilpack. I have really enjoyed this series and every book comes with a fun new setting and awesome recipes. Sadie is honestly a busy body type that can't sit still. She likes to know everything. In the last few books she has calmed down a bit and I'm so glad. She is still Sadie but just not quite so overboard. She has been through a rough patch but she is rebounding and coming into a new and improved Sadie. At least I think so. It's funny because I started reading this book right as I was working out details with my family for a cruise. We got it all booked as I am reading about a murder mystery on a cruise ship. Eek! Luckily I'm not going on an Alaskan cruise or there might have been one too many similarities! I really related to Sadie's mother hen instincts with her son. It's a hard thing to let your kids grow up and trust them to make their own decisions. Especially decisions that don't involve you. Poor Sadie. Secrets are just no good. And Sean's secret is a doozy! I was glad to see Pete in this book, stepping up and taking some control, helping. I've always loved Pete. He is steady and you can count on him. I'm so glad to see that to some degree, Sadie is giving up some of her crazy and trusting Pete's judgement. That trust is huge. 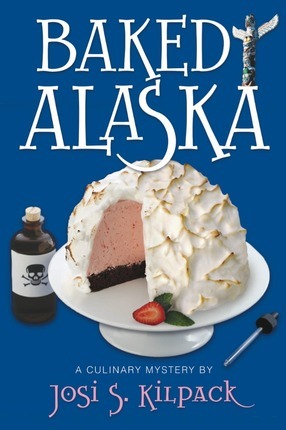 I don't think I've ever eaten Baked Alaska. It's such a shame because that cover looks really good and I'm thinking I've been deprived. If you love a good, cozy murder mystery, you should really try Josi's Culinary mystery series. It's fun, easy reading. If you've already read most of this series and Baked Alaska is next, you know what you are in for. You won't be disappointed. 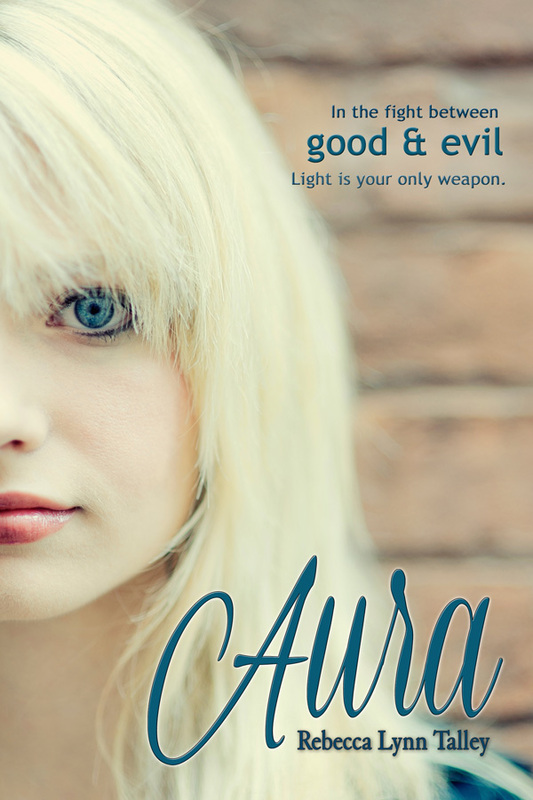 Aura is another classic story about good vs evil, light vs dark, with a paranormal spin. The book started out slow for me. It took awhile for me to settle in and enjoy but it did happen. Everything in this book was good. Good characters, good story. It's just that I've heard this story before. 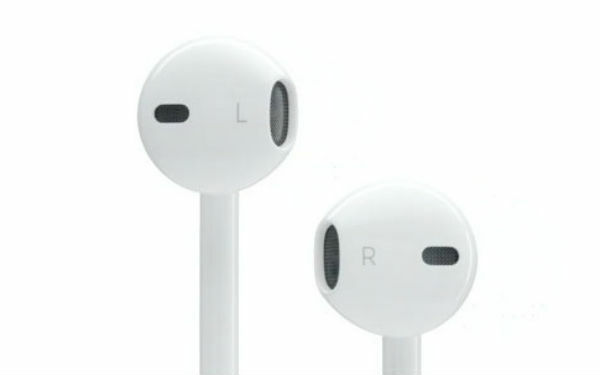 There wasn't anything new or overly engaging. One great thing about this book was the overall message. You could feel deeper meanings in this book. I love the whole idea that as Crystal was good and made good choices her light, or aura, got brighter and she became a powerful influence for good. And as you may or may not know, I really appreciate a clean read. This book was exactly the kind of book I feel comfortable handing off to my daughter. Up next is an excerpt from Aura followed by the giveaway! Enjoy! “There’s this . . .” His sentence trailed off. “What, Jack? There’s this, what?” He emphasized the last word. “Then take care of it.” Vincent had no time for this, not with the summit meeting looming. He ran his fingers through his thick hair attempting to settle his bubbling anger. His powers of persuasion were far more successful when he was calm. “Preposterous.” Vincent blew out a breath. Was he working with morons? A teenage girl? Absurd. “Yes, yes, I know. You don’t have to explain it to me, Jack.” Losing associates, and thus control, in any city reflected poorly on the organization, and on him. Vincent couldn’t have that. “What should we do?” Chris asked. 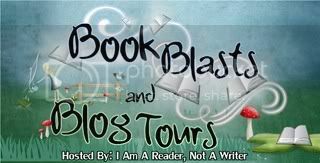 On Tour: At First Touch by Mattie Dunman plus a GIVEAWAY! Her mother is dead. Her father has lost his job. And thanks to an experimental procedure, Liz is now able to ‘download’ the contents of every brain around her with a simple touch. 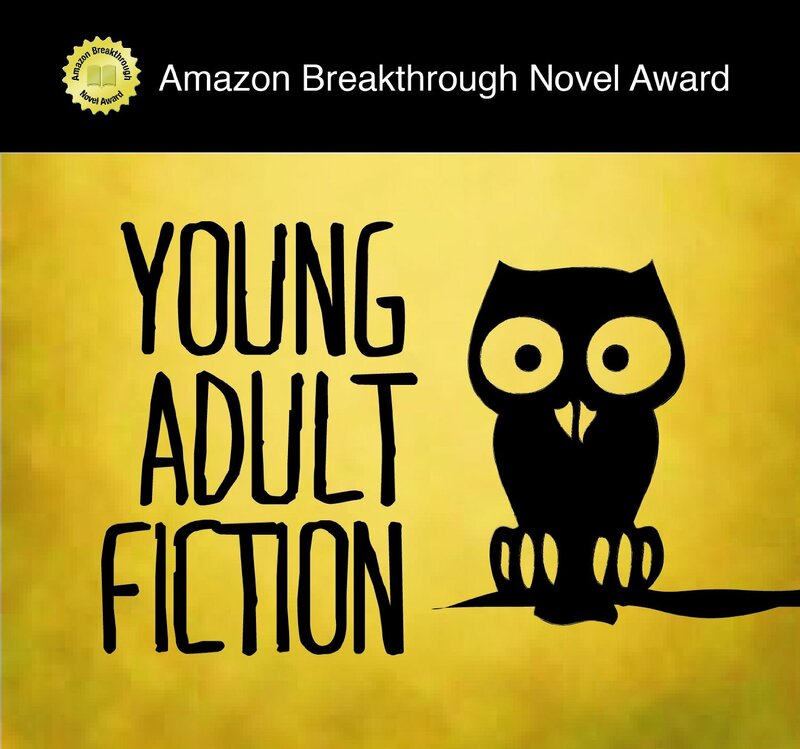 Forced to hide from both the federal government and a darkling group of morally deficient scientists known as the Coalition determined to exploit her abilities, she moves with her father to the bucolic coal town of Pound, West Virginia. But the hunt for Liz and her abilities hasn’t ended, and her hopes for peace are shattered when she inadvertently downloads the enigmatic Carey Drake, whose unusual good looks and charm conceal a secret as shocking as her own. Stunned by the knowledge that she has found someone else who has extraordinary abilities, Liz finds herself drawn to Carey, discovering a deep attraction, and dares to hope for the first time she might find love. That's always a good start to a review, right? The plot in this book was forward moving at all times. I never felt stagnant or bored. It had an excellent build up and I felt just like I was watching a movie. You know the movie where the characters are walking right into trouble and you are yelling at them, "NO! Don't do it!"? That was this book for me. Well, at least the ending of this book was that sentence. I just love reading a book where somewhere along the lines I become invested in the story and I care about what is happening. I loved the characters. I love Liz and I love her dad. Liz has moved around a lot and it's hard to fit in when you are different. The gloves she has to wear so she doesn't "download" people causes her to stand out as different. Her struggles and abilities make her both vulnerable and strong. It was both of those things that really made me love Liz. When Liz meets Carey, the slow sizzle begins. Carey is everything hero-ish. Honest to goodness hero. Think knight in shining armor, Captain America hero. You just can't go wrong with Carey. Liz accidentally downloads Carey but I love how she doesn't access all his thoughts and memories because she wants to learn about him from him. This was an easy to read book. It had all the elements that make me love reading. A great plot that moves forward, characters that I love to love (and hate) a paranormal aspect and romance too. 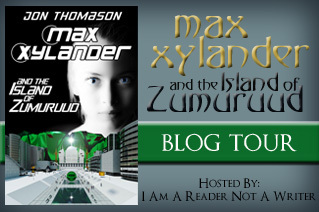 I'm glad I was able to read and review this book as part of this blog tour. Content: There was some swearing, teenage drinking and some violence. Sorry this is so small. I couldn't fit it original size on my blog so you can barely read the print here. Uugh! 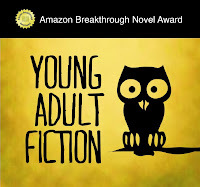 Here is a link to the original giveaway on the author's site. It is full on size so you can see it in full glory. 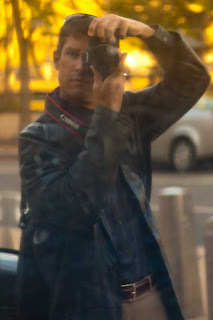 :) Click HERE. 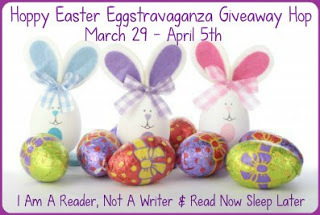 I can tell you that this is an awesome giveaway and you don't want to miss it. So many awesome books up for grabs not to mention the whole Midnight Fire Series by Kaitlyn Davis. 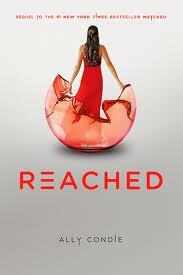 I've really enjoyed her books and I can't wait to read Scorch coming soon. :) If you haven't read this series, Ignite is the first book and it is FREE right now so you can check it out and get started on the series. And where do I stand? Team Luke! Below is the rafflecopter for the giveaway. 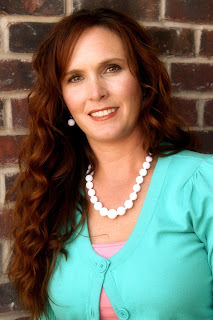 Below that are purchase and information links regarding the Midnight Fire series and Kaitlyn Davis. Few callings strike fear into a woman’s heart like that of being a Girls Camp leader. Whether you’re a new camper or a seasoned leader, Stephanie Worlton is here to help. 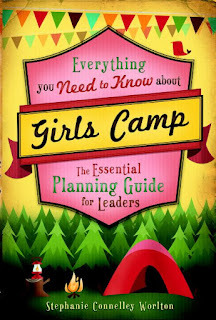 Make your Girls Camp an experience to remember with Everything You Need to Know about Girls Camp. Filled with helpful tips on everything from holding your first meeting to dealing with unhappy campers, this essential guide takes the stress out of planning to make your camp a success! 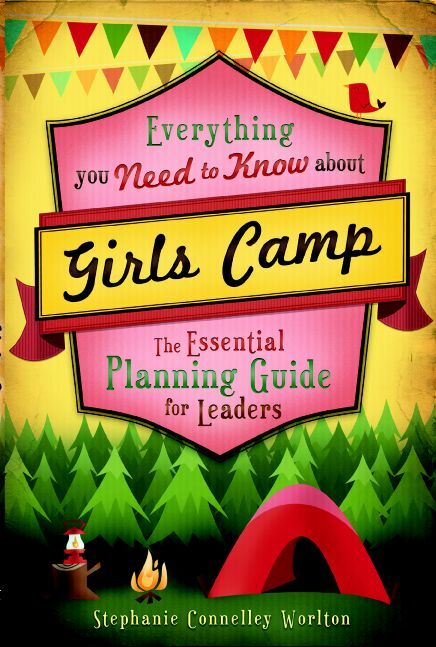 This book is specifically intended for members of the LDS faith who participate in the yearly tradition known as girls camp. This is where adult leaders plan a summer camp for girls between the ages of 12 and 17. This camp usually lasts 5-6 days and is full of not only camping and adventure activities but also service and spiritual activities intended to build young women up and give them camaraderie and confidence. Speaking strictly by personal experience, Girls Camp is definitely a job that strikes fear into my heart! It's such a huge undertaking. I've been to many different girls camps over the years in many different places. I've never been in charge of the whole shabang though ~ only in charge of smaller things within. Thank Goodness. But now I know, if I am ever put in charge (please, please, no) that I have the most excellent resource available to me, (aside from having Stephanie Worlton herself) and that is this book! This book takes you from the very, very beginning of planning and thinking all the way through to the end. 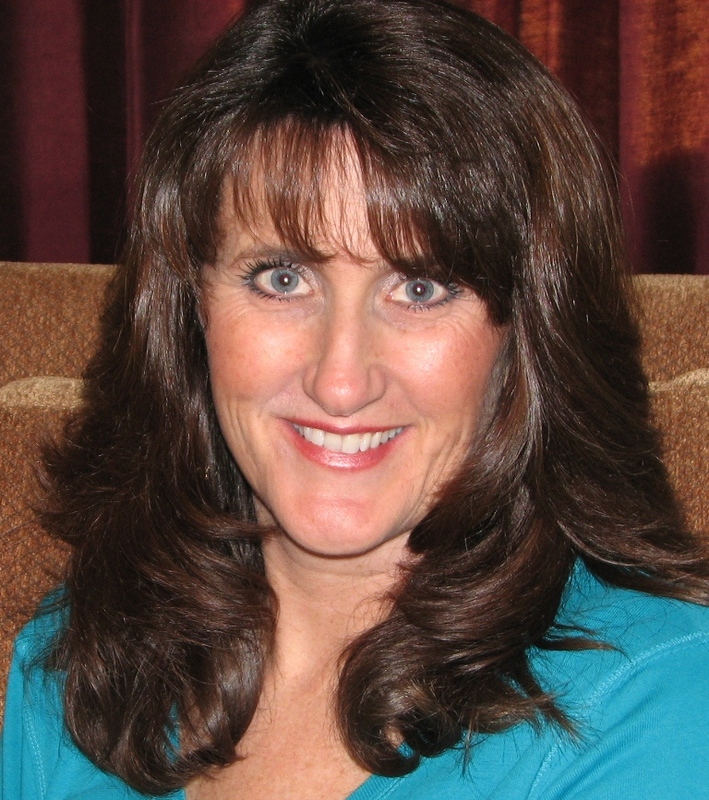 It will give you advice that only a seasoned, experienced girls camp leader can give. It's like a treasure trove of good ideas, tips, songs and RECIPES! 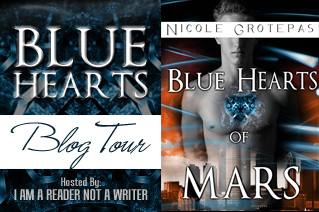 As part of the blog tour, Stephanie will be giving away two great prizes. 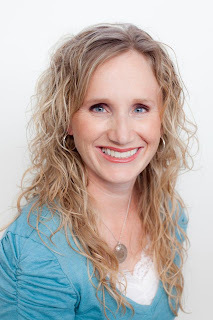 Visit her Kreating Krazy author blog to enter for your chance to win a "Camp Leader Survival Kit" or a signed copy of the book.